When people think about getting an office copier they usually expect to be paying a gratuitous amount of their machine. This is especially true when people think about getting something with color capabilities. 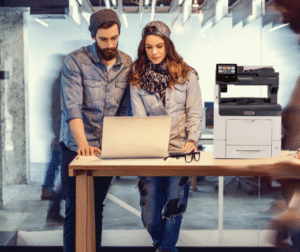 Now, it is true that a color copier is going to cost more than a monochrome machine, but advancements in office machine technology has made color copiers more affordable than ever. It used to be that you could only get a color copier for your office if you worked for a big business with a lot of money. Smaller operations would have to rely on print shops to handle the jobs that they couldn’t complete in their own offices. This is a thing of the past. As companies like Xerox make more and more advancements this technology becomes even more affordable. Now, there are a number of great color copier options for every business. Color copiers can now comfortably fit in your home office or small business space. Reach out to us at Colorado Springs Copier to learn more about our affordable color copier options for your business. We know that we can find you something that you will be happy with.